Aedes aegypti. Image via CDCOriginally published August 1, 2017. Updated December 28, 2017. 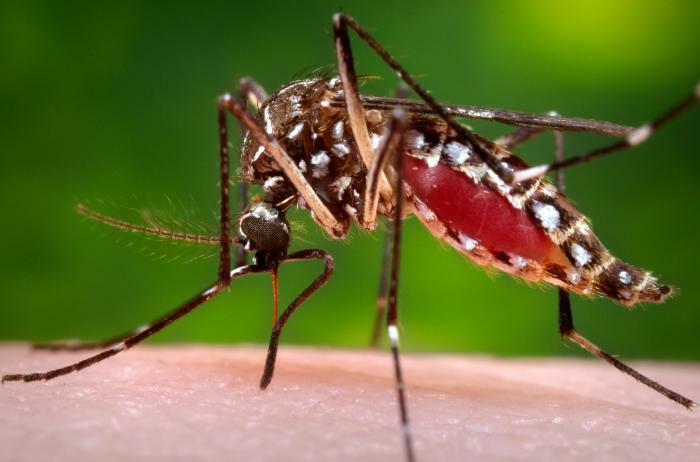 In November 2016,Exit Brownsville, Texas became the second location in the U.S. to report a locally-acquired case of the Zika virus—a disease spread by mosquitoes that can lead to severe birth defects. Brownsville is a mid-sized city along the US-Mexico border and is no stranger to mosquito-borne diseases, having experienced dengue fever outbreaks in 2005 and 2013. The mosquito that carries dengue, Aedes aegypti, is also the primary carrier of Zika, and is a known risk in Brownsville. Those living in the city’s poorest neighborhoods—35 percent of Brownsville residents live below the poverty line—are generally more likely to come into contact with the Aedes mosquito, and thus face a greater risk of exposure. EPA researchers are partnering with the city’s Department of Public Health and local universities to identify hotspots and the factors that lead to the mosquito’s spread. This way, steps can be taken to address underlying conditions that allow the mosquitoes to breed, rather than relying solely on pesticide spraying. This approach, using a holistic strategy to address pest problems while minimizing public health and environmental risks, is consistent with Food Quality Protection Act languageExit supporting integrated pest management research. Aedes aegypti is a “container species,” meaning that it prefers to live in human-built environments. Old tires, empty flower pots, and other debris that pool water are ideal spots for the mosquito to reproduce. Aedes feeds almost exclusively on humans, thus socioeconomic factors like population density, and the age, condition, and density of housing are all important risk factors. Behavioral factors such as time spent outdoors, rates of illegal dumping, and use of EPA-approved skin repellents are also important. EPA and the City of Brownsville, TX are mapping risk of mosquito contact within the city. The circles in the images represent buffer zones around EPA mosquito trap sites and the pie charts depict the land cover composition in each zone. “We combined environmental data (land cover, precipitation, and temperature) with socioeconomic and mosquito activity data in order to paint a more accurate picture of risk. To our knowledge, this is the first vector mitigation study to take into account both 1x1 meter land cover data and socioeconomic determinants,” said Pai-Yei Whung, Ph.D., the project’s lead and an EPA senior scientist. The research partnership goes beyond simply mapping risk. In the Fall of 2017, city officials launched a crowdsourcing platformExit where residents can upload information on potential breeding sites and mosquito activity in their neighborhoods. The city is also training promotoras, Spanish-speaking community members who provide basic health education and counseling to their neighbors. Promotoras have historically played an important role as liaisons between their communities and healthcare workers and city officials. This train-the-trainer Exitmodel has the potential to magnify the reach and impact of EPA’s risk analysis work in Brownsville, and ultimately help lead to better health outcomes. Brownsville, Texas median family income at the census block group level. Lighter colors indicate potentially more vulnerable populations. The risk-mapping work is still ongoing, but Dr. Whung is confident that the methods used in Brownsville can be adapted to other communities facing similar vector-borne disease threats. Last April, EPA researchers presented their initial findings at the inaugural Planetary Health / Geo-Health Meeting Exitin Boston. In October, the group published a literature review Exitin the International Journal of Environmental Research and Public Health that helps validate their multi-systems approach to Aedes risk analysis. Sallam, M. F., Fizer, C., Pilant, A. N., & Whung, P. Y. (2017). Systematic Review: Land Cover, Meteorological, and Socioeconomic Determinants of Aedes Mosquito Habitat for Risk Mapping. International Journal of Environmental Research and Public Health, 14(10), 1230.